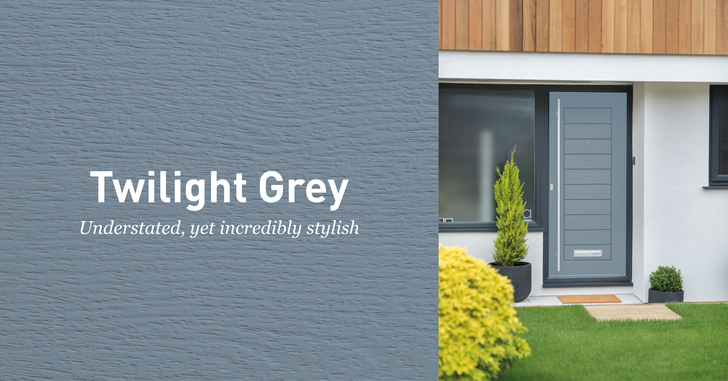 Twilight Grey has subtle undertones of pale green and blue (depending on the light), giving it a fresh and contemporary feel all year round. Sitting in between dark Anthracite Grey and lighter French Grey, Twilight Grey is another top colour trend with experts suggesting that this hue will evoke a feeling of tranquillity and stability. It’s another colour that works well as a combination so try adding a different colour frame like Anthracite Grey for a truly modern finish.